We’ll be completely honest with you, you may not find a better lice treatment in North Richland Hills, TX, than Lice Lifters. Our services come with a guarantee that over the counter products simply cannot match up to. In fact, those products tend to be harmful, whereas our products are completely safe and 99.9% effective at removing lice from your scalp by the time you leave the office. If you discover you or a family member have lice, give us a call as soon as possible. We can schedule an appointment for you soon. While a comb-out at home or at a child’s school can certainly rid their scalp of some eggs or adult lice, the process will certainly not remove all of the lice effectively. With even a handful leftover on your scalp, you will find they reproduce quickly and incessantly. It is almost impossible to remove them all using a simple brush or comb the first time through. We have designed a comb specifically for removing these pests, and it does work wonders, but only when combined with our Lice Treatment Solution. With the two in place, we can remove the lice for the foreseeable future. At Lice Lifters, we only make use of all-natural lice treatment options. This is an important feature to our service. Our clients do not care for chemicals or the horrible side effects that stem from using such products purchased at a drugstore in town. They don’t even remove all of the lice for good. Our lice treatment in North Richland Hills, TX were designed specifically by professionals to kill off lice by the time you leave our office. Children deserve a safe environment when battling against head lice. While not severe, head lice can be a terrible nuisance for kids. Often, we must pull our children out of school until treatment can take place. Lice Lifters Treatment Centers would like to make the entire process easier. Your average head lice infestation spreads quickly. As parents, we often see notices from the school about a head lice infestation circulating around campus. It’s best not to panic, though. These situations usually fix themselves. Administrators remove the affected child from class and treatment can begin. The staff at Lice Lifters Treatment Centers have the knowledge and experience needed to treat a head lice infestation. With our thorough process, you and your child will be lice-free after a single treatment! With Lice Lifters Treatment Centers, it takes one in-office treatment, and you’re done! There are no professional treatment solutions that work as well as our process. We begin with a head-check to locate adult lice and eggs. Then, we complete a professional comb-through. 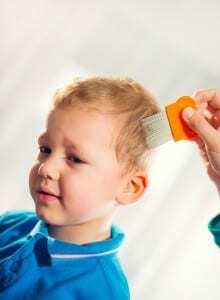 Using tried-and-tested combing techniques, our experts will remove as many lice as possible. Lastly, we apply our non-toxic treatment solution and send you home. It’s that simple! Lice are irritating. Head lice can cause severe itching and discomfort, especially in children. Schedule a session at Lice Lifters Treatment Centers to rid your scalp of head lice. We have a reputation for removing head lice on the first attempt! Schedule an appointment today for prompt and effective head lice treatment in North Richland Hills, TX! If you’re interested in a completely natural lice treatment in North Richland Hills, TX, look no further than Lice Lifters. 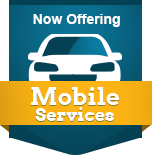 You can call to schedule an appointment today!